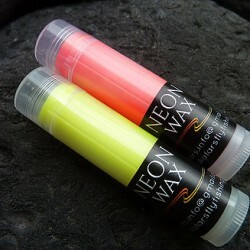 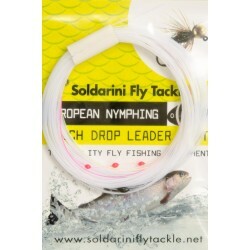 Line and Leaders There are 15 products. 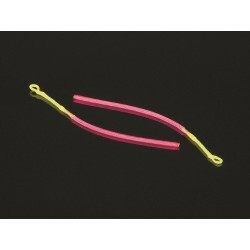 Length of 100 m, the strength of 30 lb/14 kg. 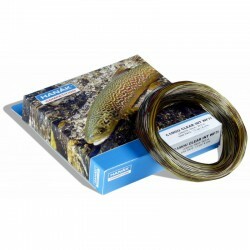 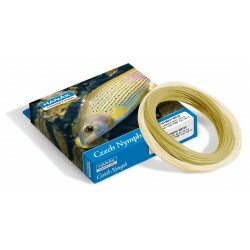 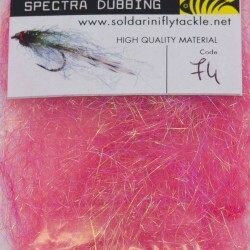 Currently the CLEAR 3lbs, CLEAR 6lbs and CAMOU 3lbs are out of stock.The 3lb leader is great for dry fly use on the river, where the 8lb & 6lb are very good to use with an indicator for up stream and short line nymph fishing. 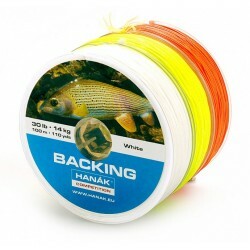 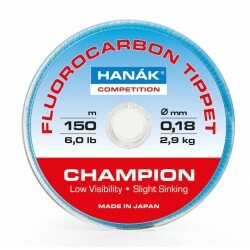 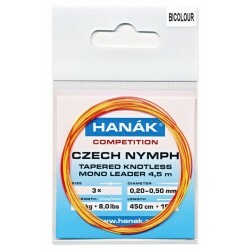 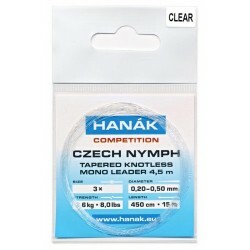 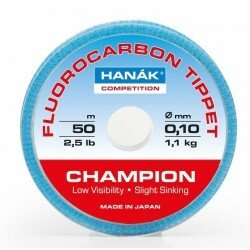 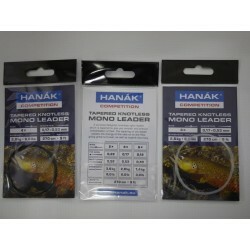 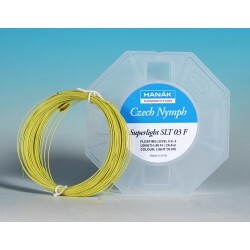 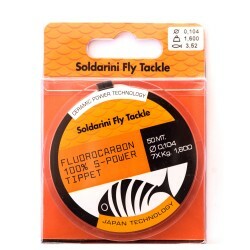 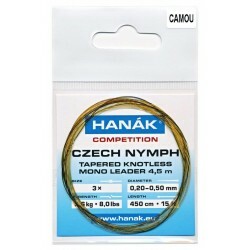 "The Hanak competition fly lines are the result of several years intensive research, testing and development assisted by leading team members of the Czech Team which has dominated the Worlds Fly Fishing Championships for the past two decades".